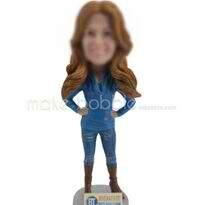 Custom bobblehead of blue jeans - a love more than a gift! The range of casual wear for women is very extensive, yet may still make a great fashion statement. 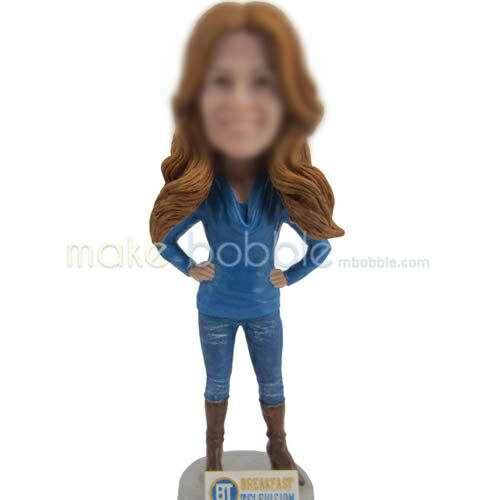 To indicate your sense of humour and a more casual approach to one side of your life, our custom-made casual Bobbleheads are an excellent way to make the point. Relax and express your other self.